How can a DNA test help my genealogy? Where should I test my DNA? DNA testing, how do I start? DNA testing, how can I get help? Founded by CeCe Moore, The DNA Detectives is your community for all your genetic genealogy questions or needs. 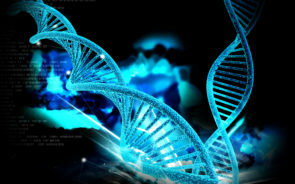 We offer DNA tests, Assistance, DNA testing analysis, Strategized DNA testing, Media Consulting, educational conferences and videos featuring some of the world’s most qualified genetic genealogy experts and much more. To order a DNA test, simply click on any of the company logos below. Whether you are a hobby genealogist, a seasoned genetic genealogist, adopted and looking to discover unknown parentage or just curious, the DNA Detectives can help. The DNA Detectives is the leader in creating educational resources for the genetic genealogy community. CeCe Moore is the DNA expert on “Finding Your Roots with Henry Louis Gates, Jr.” She appears frequently on national television on a variety of shows and news networks including ABC’s 20/20 , CBS This Morning, NBC, CBS, FOX, The Doctors, and many more. She has been quoted on the subject of DNA in the Wall Street Journal, Washington Post, People Magazine, Harper’s Magazine, Business Insider, ABC News, Live Science, Huffington Post, The Root, Washington Times, Discover Magazine’s Gene Expression, Science Blog’s Genetic Future, Genomes Unzipped, Genomics Law Report, Fox Health, CNN’s Paging Dr. Gupta, BioArray News, Eastman’s Online Genealogy Newsletter and many others. The DNA Detectives has taken a leadership role in creating educational resources for the genetic genealogy community. CeCe Moore is a frequent national presenter and teaches intensive genetic genealogy courses at GRIP, SLIG, IGHR and FGI. Together with Tim Janzen, CeCe Moore founded the Institute for Genetic Genealogy (i4gg.org) and organized the first completely independent genetic genealogy conference, held in Washington D.C. in August 2014.